SoonTM. 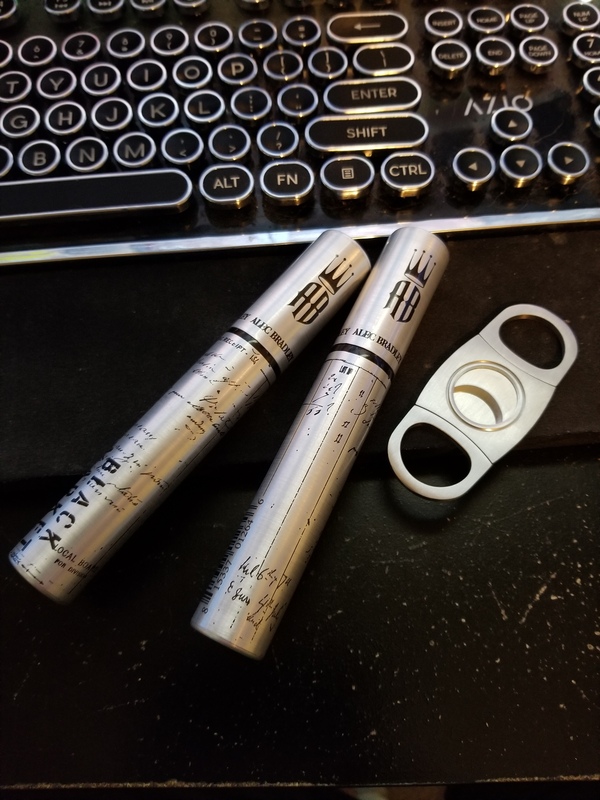 Some budget sticks that have good reviews and some decent tobac for my pipe for $3 under MSRP. Still need to finish the 1.75oz that I have from months ago but meh lol. 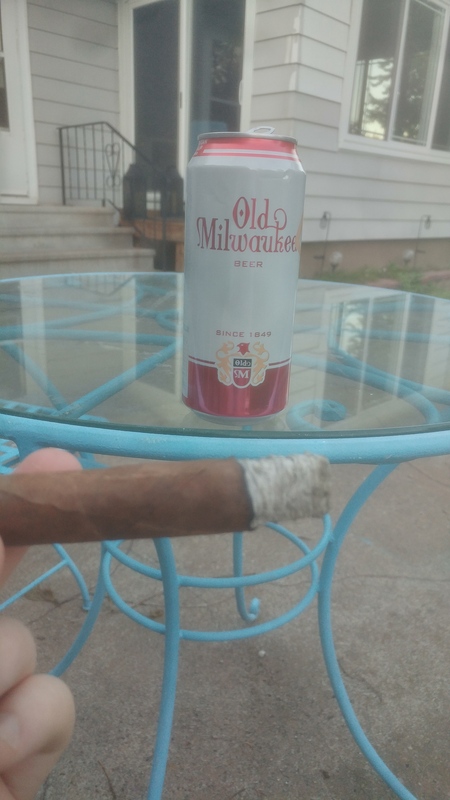 Cheap good beer+cheap good cigar+ 70 degree weather = happy. Lol. Will have to see how they are later. Working nights for a few days now so. 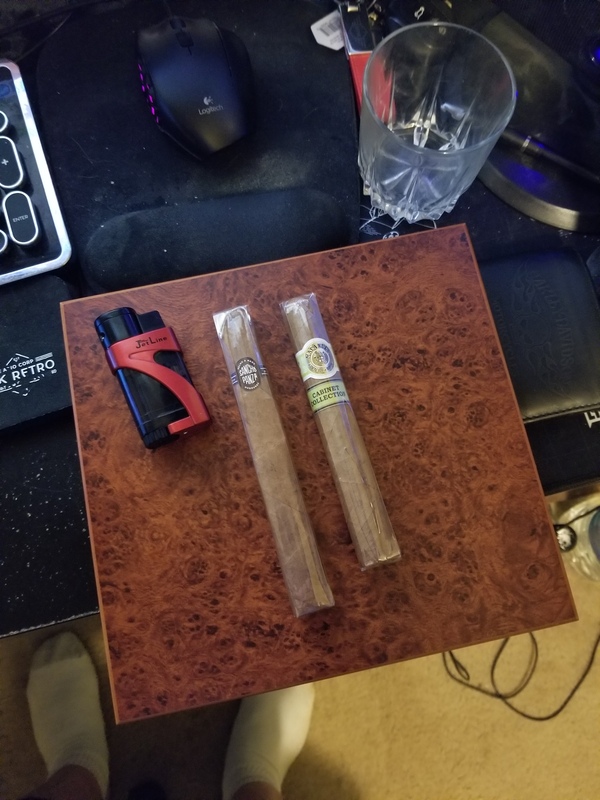 Got a humidor, lighter, and a couple more cigars. I think I’m all set for next week. Have you seasoned it and everything yet? If not Boveda makes an awesome seasoning pack. And then you can get additional Bovedas to keep the humidor around 65% or 69% depending on your preferences. Have you seasoned it and everything yet? I’m working on seasoning it atm, currently sitting getting the humidity up. Whatever it ends up with is what I’m stuck with for a bit since I’m leaving on Saturday, but anything is better than just having them sit in the open air. Luckily it’s been quite humid here as of late so that should help get it up there a bit quicker. Yeah, mine (which holds like … 75 or so, depending what they are and etc) took like 4 days to season and an additional 2 to get to 69% stably. So that one shouldnt take too long but still is a while. Just being in the cellos though they can usually last a day or two, maybe three if you push it. One easy way for temporary storage is using either a Ziploc bag or an airtight food container with a Boveda pack in it. Will last as long as the Boveda does. For like 5 cigars a tiny boveda will do; for any more a larger one will work (the standard size). It only holds like 10 or so, so it shouldn’t take too long. I’ve got them in a ziploc bag atm. Since they’re going in the humidor tomorrow it’s not gonna hurt them to be sitting in there without a boveda pack, especially since I don’t plan to start going through them until Monday at the earliest. 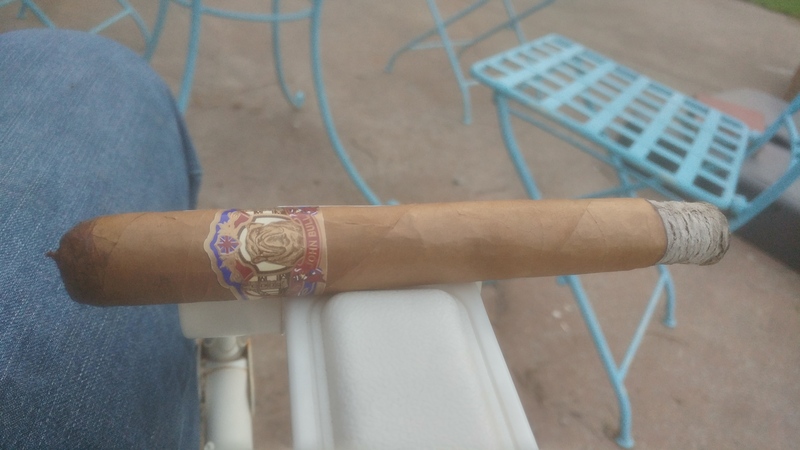 For around $2 a stick, these are quite good. Reviews are accurate. Mild, tastes creamy and also somewhat like what cedar smells like, not bad at all. A good, as some put it, yardgar lol. That’s how cigars are intended to be smoked lol. Cigarettes not so much. I usually just buy things online. Holts is alright, sometimes great sometimes meh prices. 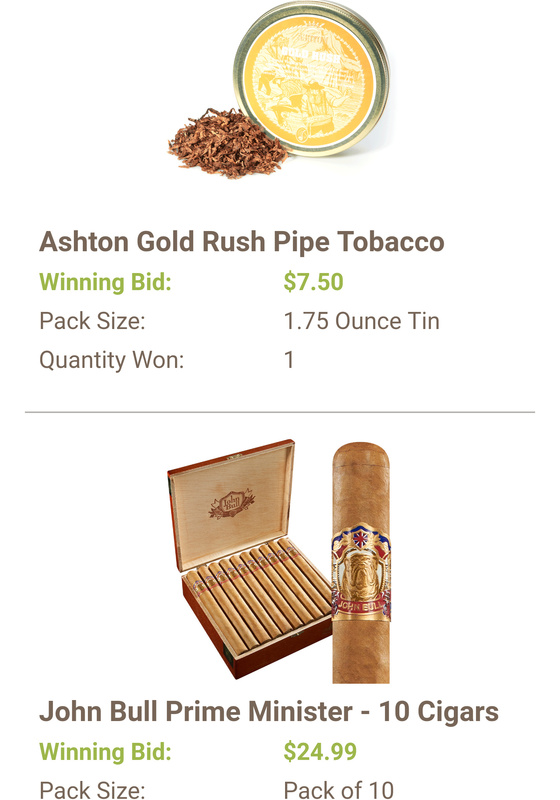 And Cigarbid is decent as well- just have to be careful on it as the nature of bidding means some stuff might actually be a terrible deal there. Just have to look up the price of the thing you are interested in before bidding really. Locally the smoke shops I have around are pretty damn bad lol. There is one that has things for $1-2 above MSRP which is OK though… In a pinch. 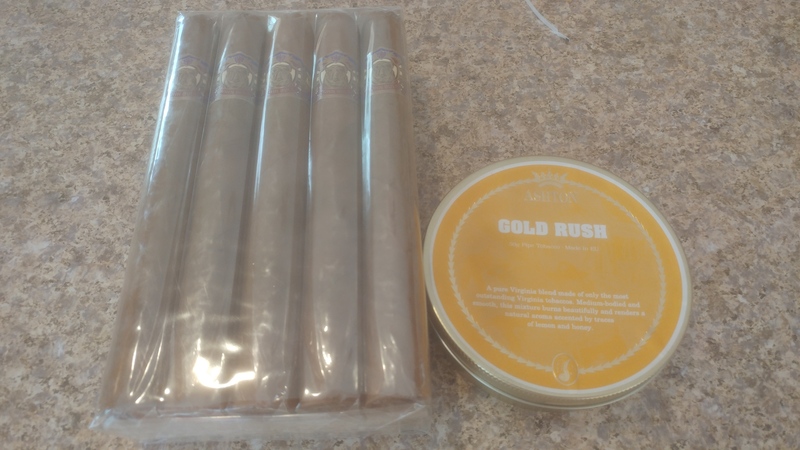 So yeah… stuck with the “local” shop, which is just a Smoker’s Choice 20 minutes away. I may have just gotten a tin of tobacco and accidentally got 100 cigarillos for $36 total. Just wanted one pack of 50 cigarillos but the default thing was quantity 2 so GG. Then again. Its a really good price so not even mad lmao. Will post later with what they are/ thoughts on them when they arrive. 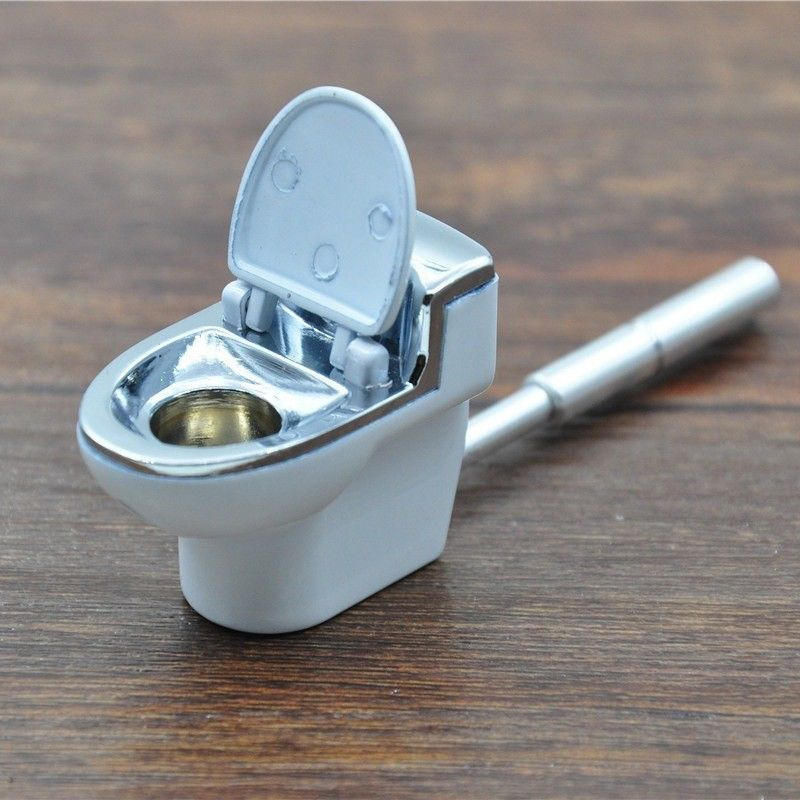 Just ordered a hygrometer, ashtray, and some Bovida stuff which I believe is all I have left that I need to take care of my cigars.